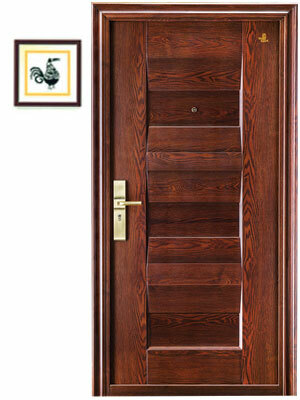 Glo Guard Security Steel Door has a wood grain finish and looks perfectly wooden. 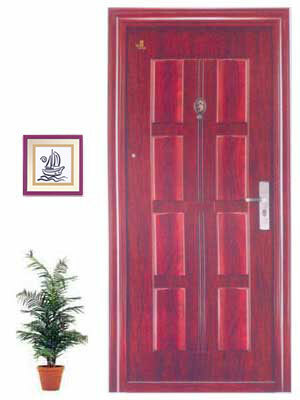 (door Face of 1.20 mm thick, cold rolled plate & Door Frame 1.50 mm thick). 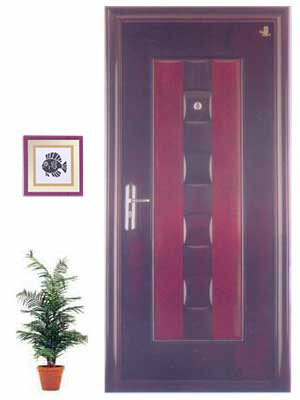 Multi-layer UV treatment with transparency film to door surface. 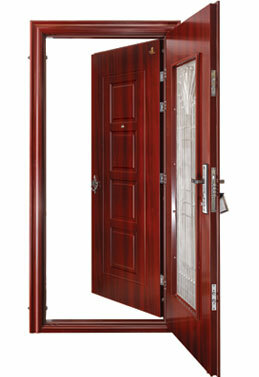 It has high corrosion resistance and excellent rub resistance. 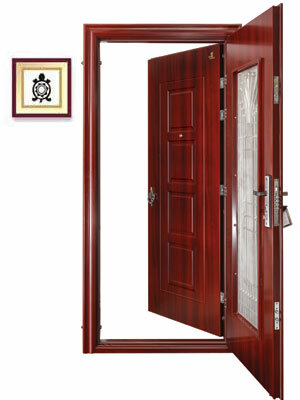 Each door has 4 Nos inbuilt S.S. 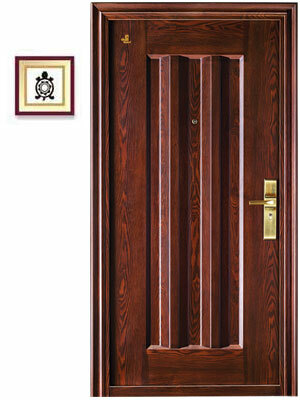 Hinges & Multi Lockeing System with seven lock points & five Master Keys, along with the two Dummy Keys, One peep hole.